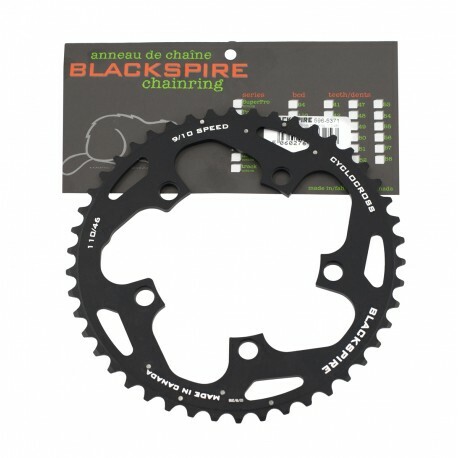 Performance Cyclocross Chainrings. CNC’d 7075 T-6. Modified shift gates and special profiles to allow 9 and 10 speed chains to shift flawlessly. Outer chainrings have strategically placed stainless steel pins to further enhance shifting. Cut from .160″ material. For use with 9 or 10 speed drivetrains. Anodized w/Laser etched Graphics. Sizes Available: 110 – 34, 36, 42*, 44*, 46* / 130 – 38, 39, 42*, 44*, 46* / 135 – 39, 42*, 44*, 46*. Color(s): Anodized Gray. * Indicates rings with ramps and stainless steel shift pins for outer position.